the following text contains frequently asked questions and their respective answers. If your question is not listed below, please use the contact form to address our support directly. We are looking forward to your comments, suggestions and feedback. Should you miss features or feel the necessity for improvement, please let us know. -> How does the tellows Score sync work? 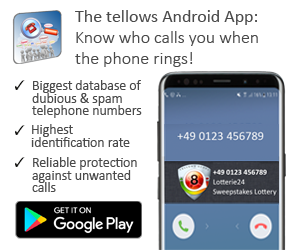 In contrast to the tellows iPhone app, our Android app syncs to the tellows servers in real time. Hence, there is no need to download any score lists or to update data bases. You are always up-to-date. -> I already use the old Android app, do I have to pay for the update? No. Since you remained true to our old app, it’s free for you. ->I’m from the Netherlands or Poland. Does the english version work for me as well? Yes of course, Have a look at the app’s country setting and check whether you home country is selected. Otherwise the tellows app syncs with the wrong domain. Wich Android version do you use? If you employ none of the given Android versions, please state your version in the problem definition. 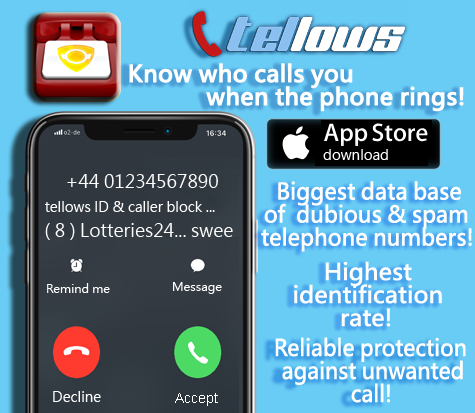 Which tellows app version do you use? To reduce spam please solve: 12+48=? This entry was posted in App Support and tagged android, tellows app, tellows app support on Friday January 10th, 2014 by tellows.de Team.